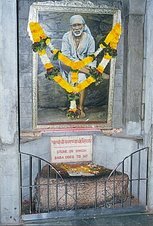 Shri Sadguru Sainath Maharaj Ki Jai ! Bow to the holy feet of Shri Sai Baba ! There was a very unusual experience i went through about a year ago. I was doing intense sadhana of Shirdi Sai Baba. Sadhna in the sense intense love towards Sadguru Sai Baba. Most of the time was being spent in such manner; the body, mind and heart passed through intense blissful moments and also intense painful moments. Few days prior to this, i was reading two sacred books every day. 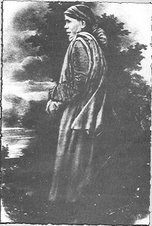 One, the dear one Shri Sai SatCharitra and other The Gospel of Sri Ramakrishna. Both the books are not ordinary books, they are also the presence of divine energy. While reading the Gospel, sometimes i could feel Shri Ramakrishna right by my side. I recommend this book Gospel of Ramakrishna to devotees as i do for Sai SatCharitra. One devotee friend to whom i recommend this book and had told him some stories from it, was going to Kolkota. 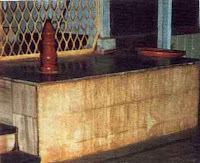 He told me to accompany him to the Kali Maa’s shrine of Dakhshineshwar, where Shri Ramakrishna Paramhamsha lived and talked with the Divine Compassionate Mother Kali, and drove many to the path of bhakti and He still does. This picture was clicked few hours my friend left Surat for Kolkota, It was clicked on the request of an online friend Shastrix, who posted the same on Shastrix Flickr. I have this deep desire to visit Maa Kaali’s Temple of Dakhshineshwar and also Arunachala since last 20 years. So i had agreed to go with him. Somehow the call to this divine place was not for me, so the person to whom i asked to book my train and flight tickets at the last moment told me that he had not done the same. The other friend of mine had his booking done and so he reached there. I had asked him to bring something from the temple. He did, he brought a couple of chunris from the abode of Divine Mother’s Shrine. 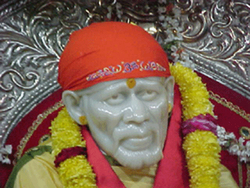 I had put the chunris from Maa Kaali’s Shrine in my home’s Sai Baba’s temple. Somehow i dragged myself to the home temple. I told Maa Kaali, that Shri Sai Baba is my Sadguru and according to Him, i will be doing your saadhana, and took one of the the chunris in my hand. As i held it in my fist, something really amazing happened. The intense darkness on my consciousness was instantly gone. It was something like you switch on the light and the darkness goes away instantly. And that night i kept chanting Maa Kaali Maa Kali until the sleep took over. And till the sleep took over along with the chanting i also asked Maa a question, many times. I asked her, "Darkness cannot stand in your presence for a moment. Then why is your name Kaali?" Indeed i got the answer while reading, ‘The Gospel of Shri Ramakrishna.’ Somewhere in the sacred book, Shri Ramakrishna explains. When we see sky from far we see it as blue. Similarly when we see the vast ocean from far we see it as blue or black. But going very close we see it as colorless. With divine Mother it is the same. Look at Her from far you will see Her as dark. Look closely and you will see Her as Compassion, love and light. 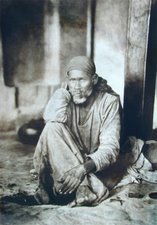 As a Sadhna, i put a picture of Kaali Maa near Sai Baba’s picture that i worship and chanted Maa Kaali every day for 2 hours, for days. 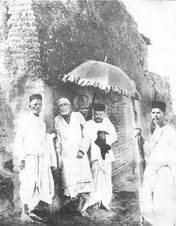 During that time Maa Kaali’s chunri would be tied on my head along with a scarf that had been worn on the Sai Baba’s idol in Shirdi. The body covered with other huge cloth consecrated With divine love at Shirdi Sai Baba’s Samadhi Temple. Then i thought that the Gospel of Sri Ramakrishna makes me feel the presence of Shri Ramakrishna Paramhamsha and Shri Ramakrishna Paramhamsha was one with Maa Kaali. So i continued it with reading of Gospel of Shri Ramakrishna, for the following days. Few months ago on Sanskar television channel a program of Shivyog was on. Avdhoot Baba Shivanandji, was narrating his experience. He said that in spirituality there are two energies one is male the other is female. If sadhna on one energy is done more it creates an imbalance. Shiv and Shakti should be balanced within. He was doing the sadhana of nine forms of divine mother. After a long time it created an imbalance in him, he said. I was just casually listening and it became more intense as he said that Shirdi Sai Baba appeared to him and told him to chant “Om Namah Shivay” as Shiv Saadhna. 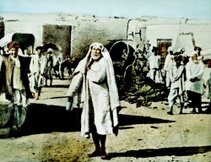 Hair stood on my body as i thought look Sai Baba has appeared and the showed the way to many renowned saints ( i would like to share some here on this blog dedicated to Sadguru Sai Baba), and here He has appeared and guided this modern day sage who attracts many and put them on path of devotion, to the divine. 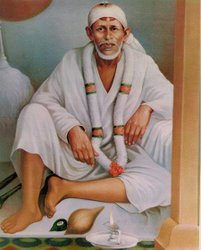 He said that it was difficult to change the love from Mother to Lord Shiva, eventually He did as Shirdi Sai has guided him and found a balance within and without. Am intensely dedicated to complete the 108 parayans of Sai SatCharitra. It has already been delayed by heavy physical sickness an a couple of travels. Again since 2 days am drawn towards Maa Kaali’s sadhana and doing it, taking some breaks from daily Parayans. 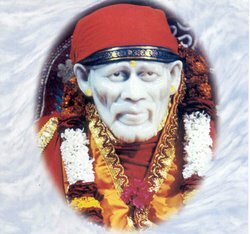 I am not sure why Sai Baba guides me to also do Maa Kaali Sadhna. Whether it is related with male and female spiritual energies or not. And can we understand Sai Baba’s activities? So i don’t care for the same and do as the Master says. Speak from the bottom of your heart Sadguru Sainath Maharaj Ki Jai !